Vanc ouver novelist Timothy Taylor will read from The Blue Light Project on Monday, Nov. 14 at 7 p.m. in the Ganong Hall Lecture Theatre at UNB Saint John. 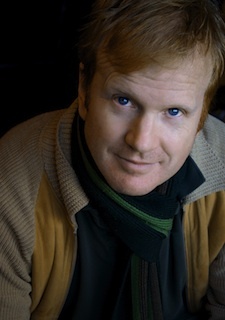 Taylor is the author of Story House (2007), Silent Cruise (2002), and the Giller-nominated Stanley Park (2001), which was also a selection for Canada Reads in 2007. His short fiction has earned a National Magazine Award and the Journey Prize. He is co-author of The Internet Handbook for Canadian Lawyers.